I haven’t blogged in a while. To put it simply, it’s because I haven’t written in a while. Okay, I’ve written but not like I need to be writing if I am to become a published author one of these decades. If you’ve read any of my more recent posts, you know that I took up painting. Do you want to see how that’s going? Let’s get that out of the way real fast, shall we? I’m kind of proud of that one. I had just completed one layer of a very colorful painting, which took me about a week, and decided to turn around and do a grayscale within about 30 min of that. It only took me a few minutes but was very satisfying. If I were ever to make prints of my paintings to sell, the grayscale one would be the first one I’d think about. This colorful piece was done purely on instinct. It was completely random and very reactive in the sense that I had no idea what was coming next and, thus, had to react to every single brush stroke. It was challenging but also very fun. You can see that my painting style has changed dramatically if you take a look at what I was doing when I first shared a painting with you. I threw any attempt at realism out the window and have since focused my energy on the abstract. It’s much more challenging than even I would have ever imagined, and it’s because of that intense challenge that I find it so rewarding. I was doing so well with my novel, The Liberty Chronicles. I’d made some major revelations in the story and was super excited, as per the usual, to build on it more and more. Then I got a shiny new idea and I could not stop. I kept on developing it despite knowing that I should just write it down and move on. It is my firm belief that this is what did me in. I haven’t written in something like three weeks now. For whatever reason, my creativity has manifested in visual art lately and, despite how much I love painting, writing is still my passion. Sure, I would love to make an income as a painter but I want even more than that to be a published author and make my living that way someday. Maybe this is what I needed to do, to publically say, once more, that writing is what I want to do. Perhaps something as “simple” as blogging will be enough to get me back into the writing groove. It’s going to be tough trying to balance writing with painting, but I am going to try my hardest to do just that. I am going to put my shiny new idea down and get back to work on The Liberty Chronicles. I think I have been away from it long enough now that I can actually do what I was planning to do weeks ago. I think I will go back to the drawing board, keeping the main points but developing a new outline for the story and then starting the manuscript over from scratch. It’s a big task but I am glad I was less than ten thousand words in when I decided I needed to do this. So, that’s the plan ladies and gents. Thank you to those who’ve stuck around and I hope you will continue to do so. I will be doing better at blogging and trying to be the example I set out to be for you all. As most of you know, I have been working on oil painting lately. I still am. I just made my first attempt to tone a canvas last night. Now, waiting for it to dry, I wanted to get back into my book, The Liberty Chronicles. Today I made a pretty important discovery in my story and I want to tell you all so bad! Alas, it will have to wait till you read it. I just wanted to share with you because I am always amazed at how the story keeps uncovering itself. Some say that, when painting, it’s a lot like sculpture. The canvas is the stone, and all the painter is doing is uncovering what lies beneath that stone. Writing is, quite often, exactly like that. It doesn’t matter how well you think you have it outlined and all plotted out. Your story, for better or worse, uncovers itself the more you chisel away at it. Every keystroke turns that blank white page into your masterpiece. Enough art analogies? Haha. I’m lucky in that I won’t have to go back and rewrite the whole story to accommodate this either. I’m early enough in the thing to adapt it now. But what is so wonderful about this is that I think I found something that will help carry the story through a duology, or perhaps even more. I could probably go with a trilogy, but those are cliche now, right? Who knows. We shall see what happens. So, I don’t know how many of you have stuck around, but for those who have, thank you. I am sorry I have been away for so long. You wouldn’t believe how crazy things have been lately. Work is busier than ever. I know I say that all the time, but that’s because it’s actually been getting busier and the help is minimal. Hard to find good help anymore. The biggest reason, however, that I have been away is something much deeper. 2017 was a weird year for me. I felt very creative for most of the year, too creative in fact. There were so many things I wanted to do with writing and blogging and, quite frankly, I didn’t even come close to getting any of it done. It wasn’t until just a couple days ago that I came to the conclusion that I am kind of in the midst of an existential crisis. Today is my 30th birthday and, as I look back on the last twelve years of my adulthood, it’s hard for me to come up with a list of accomplishments. It’s also hard for me to remember a time when I was genuinely happy with life as a whole. I love my wife and kids, and those are my greatest accomplishments. I have a job that allows me to live a comfortable life. But, aside from my family, I am not happy. I try to make the most of my job, but I don’t want to do what I do for the rest of my life. The bad thing is, I don’t even know what it is I want to do. I know I want to write and I know I want to create for a living. But what do I want to create? I don’t know if everyone who is creative has a hyper-creative brain like I do but I think that one of my problems is that I have so many ideas. I have too many ideas. I want to write books. I want to write screenplays. I want to start a YouTube channel. I want to paint. Someone please tell me how to do all of that and work 70 hours per week as well as being a husband and a father. I can’t see how and it’s killing me. It doesn’t help that I am suddenly beginning to ponder all the things in life. I am no longer living for today, though I am excessively aware that today may be all I have. I’m not healthy and I know that every day could be my last. Which is why I am so frustrated that I have not accomplished more. I have nothing to leave my family if I were to die today. So, it’s time for that to change, right? Right. 2018 will be better. I will be successful. I will write a book this year. I will write on this blog and work on a screenplay I have wanted to write for years. I will paint a picture. That is all. I will blog more, I promise. Be ready! Thank you so much if you read this and thank you for sticking around. See ya next time! Today I want to share with you the first of 10 things that every aspiring author needs to have in order to succeed. This will apply to all writers whether on the traditional publishing route or planning to self-publish. This should be a pretty in-depth subject encompassing all things from tech to thought so I am going to break this up into 10 parts. This may seem like the most obvious necessity for writers but I don’t think it can be over stressed. Many writers create their stories on paper, and that’s fine. I am sort of a mixed bag when it comes to the medium through which I tell my stories. One day, I will write by hand in ink or pencil, another day I will use a typewriter, and yet another day I will go back to a computer. I ALWAYS go back to a computer. The thing is, no matter which way you choose to write, it will need to be digitized at some point, namely when submitting to most agents for representation. This is why I think that having a laptop is so vital. While any computer is fine, I will strongly suggest a laptop because 1.) they are fairly inexpensive while having many of the same features as a desktop, and 2.) chances are, you are a mobile person and having the ability to move around is a true blessing when it comes to writing. For the most basic of tasks, I recommend getting a Chromebook and, in particular, I recommend the Asus Chromebook. and finally, doesn’t break the bank. This laptop achieves all of those things and will only set you back $209.00 USD. This area of laptops is an incredibly broad one and encompasses countless brands, styles, and prices. When recommending a mid-range laptop, I like to think of machines in the range from $600-$1100. 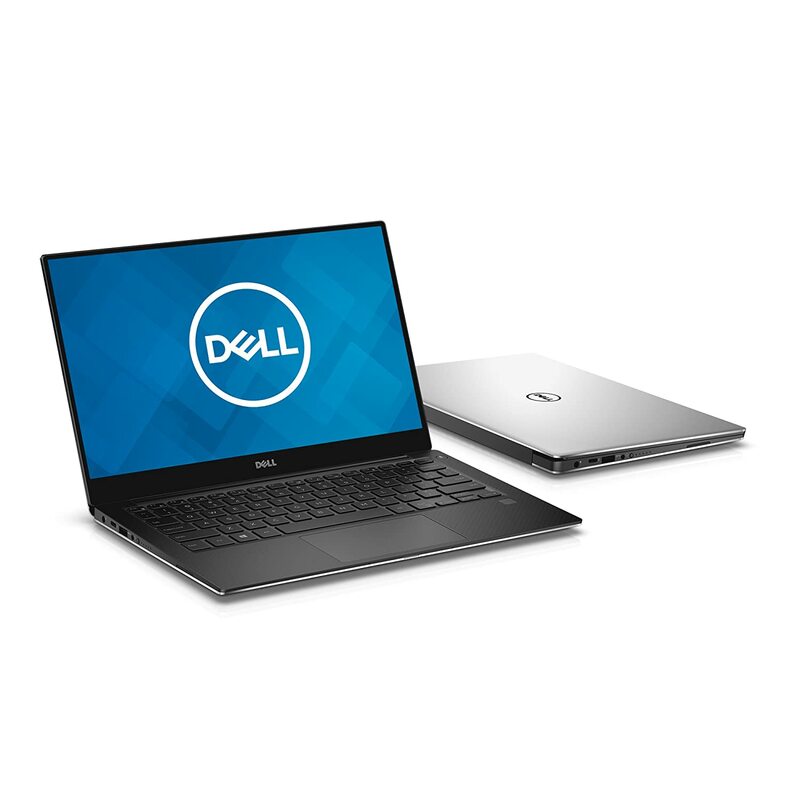 The one that comes to mind here is the Dell XPS 13, which is right at the edge of the price range at about $1190.00 USD. This thing is amazing! It’s such a workhorse for writers and creatives in general. I put it in the mid-range category because of it’s price, it’s processor, and it’s hard drive. Intel Core i5 7200-U Kaby Lake processor- This is Intel’s mid-range processor, middle child to the i3 and the i7. It’s perfect for handling most of your multi-tasking needs. You can have Srivener, Word, and a browser with 1,000 tabs open (okay maybe not 1,000) all at once. 8GB Ram- Also great for helping your processor remember what’s in those 1,000 browser tabs. 256GB PCIe Solid State Drive- This is the one area I am always skeptical about. My laptop (which just crashed after 7 years) had 750GB of hard drive storage on a conventional 5400RPM drive. What you get with an SSD is often less storage but far less boot up times and less time spent searching for data on the drive. It’s also much quieter, stronger, and uses less power. It makes a huge difference and it’s not a huge deal for me as I also have multiple 1tb external drives to store things I don’t really need on the machine. 60Whr Lithium Ion Battery- Dell claims up to 22 hours of continuous use, but that’s not practical at all. Most people are getting around 10 hours. For what this machine costs, it’s a powerhouse. If you go to Amazon right now, you can pick this up with a QHD+ Touch screen for $1,186.00 USD. On Dell’s own website, you get the standard Full HD screen and a 128GB Hard Drive for $1,074.00 USD. I’d say it’s a no brainer to go for the touch screen, though your battery life will inevitably suffer by a couple hours. This one was a tough one for me. There are so many great ones to choose from! However, I wanted to give you guys a laptop that could do everything while still maintaining a decent battery life. What I came up with was the 2017 MacBook Pro 15. I don’t see a better option on the market right now. If you’re not working on a budget, this thing is the way to go. Around 9 hours of battery life. I could have easily chosen something like the top-end Dell XPS 15 with better specs at a lower price but one thing I take into account is how Apple is notoriously secure. That’s something that’s important to me as a writer. There is a far less chance of getting a system crashing virus with Apple products which is one of the main reasons I would be willing to pay the premium price. Well, ladies and gents, that’s the end of the first in a series of 10 things you need to succeed as a writer. Come back next week for Thing Two, in which I will cover the books all writers should be reading and have by their side at all times. NOTICE: This review may contain spoilers! I will do my best not to spoil any major plot points but I won’t make any promises. Proceed at your own risk! Today I will be sharing with you my thoughts and opinions on a popular Young Adult novel. I’m sure most of you have heard of a book called Warcross by Marie Lu. If you haven’t, I would be amazed as this book is literally everywhere. Marie Lu is the author of the best selling series Legend as well as The Young Elites. Her work is very popular among readers of young adult sci-fi and fantasy. This book, the first in what will most likely be a duology, is no exception, as it is also a New York Times best seller and has been well received throughout the book community. Warcross is a story about a young girl who is a bounty hunter and an avid video game player and hacker. Her name is Emika Chen and she never would have expected what comes her way following a hack gone wrong. She’s thrust into a world she’d never been further from, where she had all the things she could have ever asked for be it money or love. It isn’t long before she realizes she’s simply a pawn in a much larger game and her life is changed forever. I wanted so bad to like this book. I spent an Audible credit on it, after all and thought that it may live up to not only the hype but to the reputation of such a well-loved author. Unfortunately, I didn’t. I thought Marie Lu could have done better. This book had so much potential and I thought she didn’t do her own story justice. Let me explain myself. There is no denying the author’s ability to world-build. This, in my opinion, was the best part about the whole book and is the main reason I feel like she wasted so much potential. To go along with her amazing world-building abilities, I feel like she did a good enough job when it came to fleshing out her characters as well. There were some spots where I remember asking myself why she would have a character do something or say something but, for the most part, I connected with at least the most important characters pretty well. And that’s all. Yes, I really mean it. I hated all other aspects of this book. I know, hate is a strong word, but I found myself wanting to scream or pull out my hair more times than I can count. Where to begin. The dialogue. I cannot tell you how many times I wanted to throw my phone because the author did such a poor job with dialog. Some of the things these characters say to one another just would not be things that you or I would say to one another in real life. I understand it’s fiction, but seriously. It’s not just the person to person dialogue either. The narration is horrible. This story is told through the eyes of our protagonist which, to me, means that the story is told as if she were recounting it to us either verbally or in writing. I have never in any of my writing referred to the color of my own hair more than once, if that. Our MC, on the other hand, refers to it at least five times. I think I’m being conservative there but what matters is that no one would do this. “My rainbow hair streaming behind me.” That’s an actual quote from just one of the infractions. The character is recounting to us how she felt when the music carried her away as she closed her eyes momentarily. I can live with saying something like “my hair flowing in the wind as I zoomed through the streets on my electric skateboard.” There’s just no reason to keep mentioning color. We get it. You have rainbow hair. Can we move on? Another thing that bothered me was that the author seemed to have tried to portray Emika as a strong-willed person while, at the same time, telling us how shy and standoffish she is. Marie did this sort of thing multiple times throughout the book and I never got used to it. Let’s talk about this romance, shall we? I have never been more confused about a romance in a book. Here is this girl who hacks into your game on it’s biggest night (mind you she’s a bounty hunter for people who illegally bet on the game) in an attempt to make some extra money. You call her up while she scared to death that she will be arrested and tell her you want to offer her a job. Okay, fair enough. That’s not enough, however. You meet her and you basically both fall in love with one another instantly. In a nutshell, one minute this girl is trying to steal from you, the next you have her naked in a hot-tub at your mom’s house sharing memories with her via your super cool contact lenses, which oh by the way, are only meant to control the world. Yeah, that’s plausible. Yet another annoying bit was how Hideo and Emika had practically just met and his best friend had to tell her to “talk to him” because he would listen to her and not him. Give me a break. The last thing I will talk about is the backstory of his brother. I feel like it took so long for the author to explain that in such great detail but the story didn’t require it. Sure, it created a connection for us which allowed us to feel some level of anger in the end but I think you could have done that in just a couple paragraphs. I began to lose interest pretty quick. I rate this book 2 out of 5 stars. The only reason I am giving it two stars is because I think this world was so much fun. It could have been so much better. That, together with the character development, I think deserves no more than two stars, and that may be too generous. Thank you guys so much for taking the time to read this review and I hope I haven’t upset too many people, as I know so many love this book. It just wasn’t for me and I don’t know if I will even bother picking up the next one. For all of you who are participating in NaNoWriMo this month, I hope you are doing well meeting and exceeding those word counts! For me, well, let’s talk about that, shall we? I had high hopes when I started this NaNo, even going back during PrepTober. I felt like my story had come together, despite not having a full and proper outline. I hadn’t fully fleshed it all out but I had the main points and it was all great. I was excited. Then November came, and it did so with what seemed like zero notice whatsoever. Seriously, where the hell did October go? I blame the crazies who started celebrating Christmas on October 1st. I kid, I kid. Mostly. And here we are nearly a third of the way into November and I’ve gotten so far behind there’s no way I can catch up, not with work never letting up. So. Who am I kidding. I’m not winning NaNo. Why am I giving up? I’m just not good with the pressure I guess. I don’t know. I need to do things at my own pace, whatever that may be. I love writing and I will write without NaNo. It would be so cool to say I won NaNo and was able to tackle such a challenge. I just don’t have it in me. I have so many things I want to write and sometimes I can’t stick to just one, which makes NaNo virtually impossible. So I’m going to continue to write no matter what. It’s my dream. And I’m going to continue to share my dreams with you all. I hope you’ll continue with me on my journey. As you may have figured out by now, I have a problem with Story A.D.D (it’s a thing, look it up) and I don’t want to leave you today without telling you about a project I am working on. About 8 years ago, I was really big into screenplays and film making as a whole. I bought and read (many times over) several books on both subjects and began writing multiple scripts in various genres from comedy to drama to crime. One of my biggest undertakings was a comedy which mimics a sort of gangster story where five groups of people go against one another in something we would look at as trivial but which they take very seriously. It was a huge project because there were so many characters, so many personalities, and so many moving parts. While I never wrote a single word to the script, I did do a metric ton of planning. I built the world, named the characters, built broad descriptions for the groups of people involved, and outlined the story, more or less, completely. Well, I was looking through one of my screenplay books the other day to get some tips for my NaNo project and, tucked within the pages, was the bulk of the planning notes I had made for that screenplay. It had been nearly eight years since I had touched those pages so, naturally, I had to read over them. Immediately, I felt the fire. The same fire I felt back when I first wrote those pages years before. Now, I cannot tell you why I put the project down. Hell, I had even contacted some people who were willing to participate in the making of the film. I was on the right track but something happened. Well, I am picking it back up. I can’t let this one slip away, not again. I have learned a lot in the years since starting that story. Most importantly, I’ve learned that I don’t want to make films and, because of this, I can write the script as I would write any story. I can write it as an author, not a director, camera man, set designer and builder, location scout, none of that. This is what I needed to write this story, to think about it as a story and not such a demanding project. So, I am going to spend some time on this one. I hope you all will understand what I am doing and I hope you have at least some interest in this aspect of writing because there are some things I would like to share with you about the project as it grows. I am sorry I wasted your time as far as NaNo is concerned. Maybe I will make up for it next yeat by actually winning. We will see what the cards hold. If you read this all, thank you so much for spending some time with me.